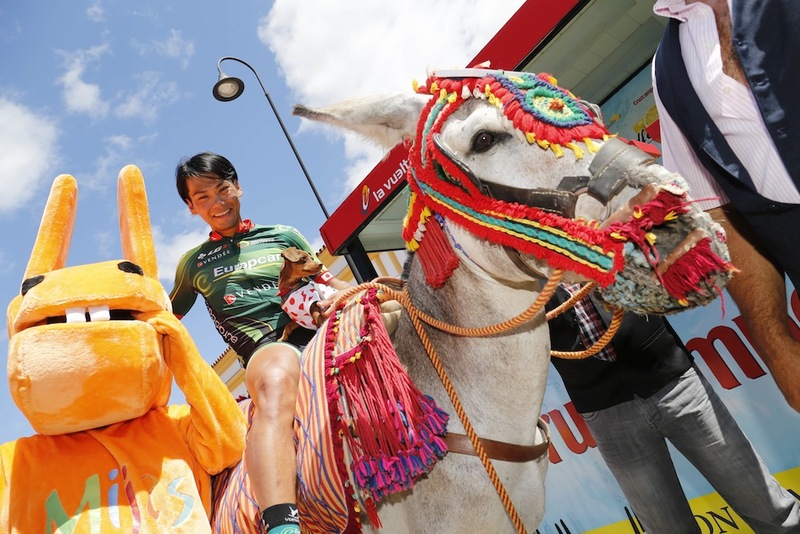 Yukiya Arashiro takes his polka-dot dog for a ride. We’ve all been thinking it, waiting, wondering, longing. 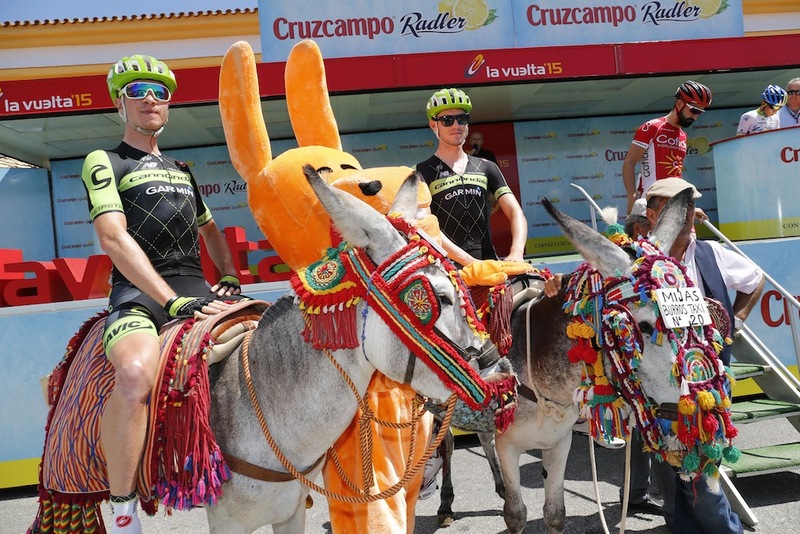 When, oh when were we finally going to get the opportunity to see professional cyclists posing on a decorated (and decidedly miserable) donkey? 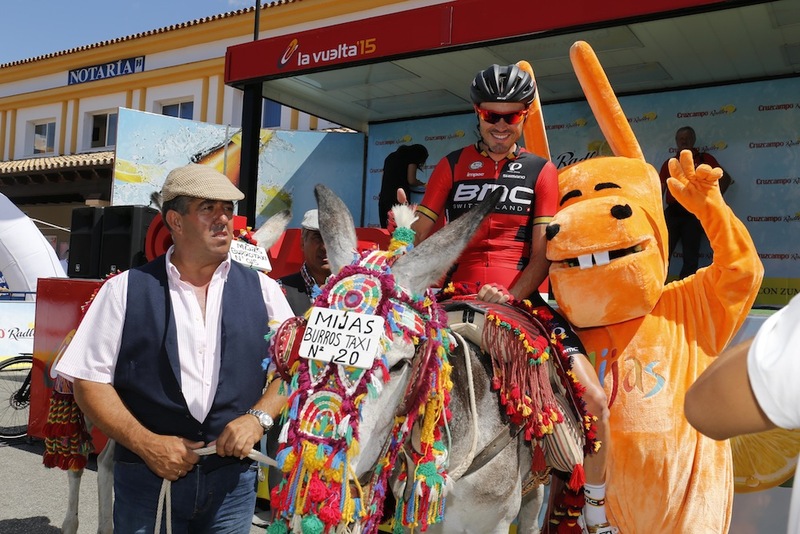 Well the wait is finally over, as the Vuelta a España organisers set about rectifying this at the start of stage three in Mijas on Monday. 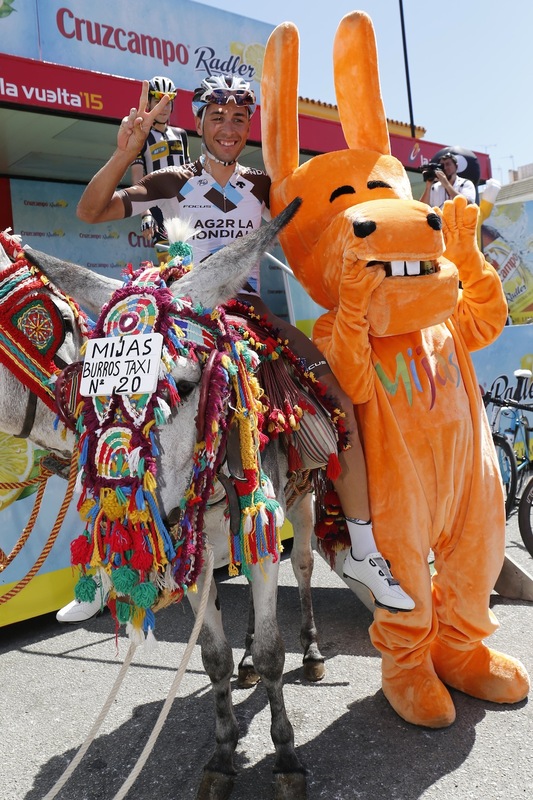 Ever wanted to see Sammy Sanchez sit on a glammed up equine while simultaneously being hugged by a man dressed up in an orange donkey suit? Here’s your chance. 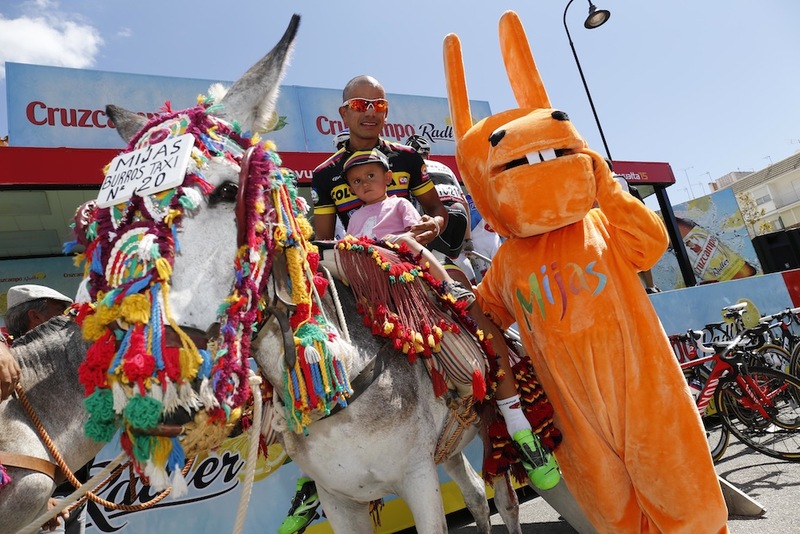 Imagine if the Premier League made Wayne Rooney pose with a overly decorated cow outside Old Trafford before the start of a game. It just wouldn’t happen. 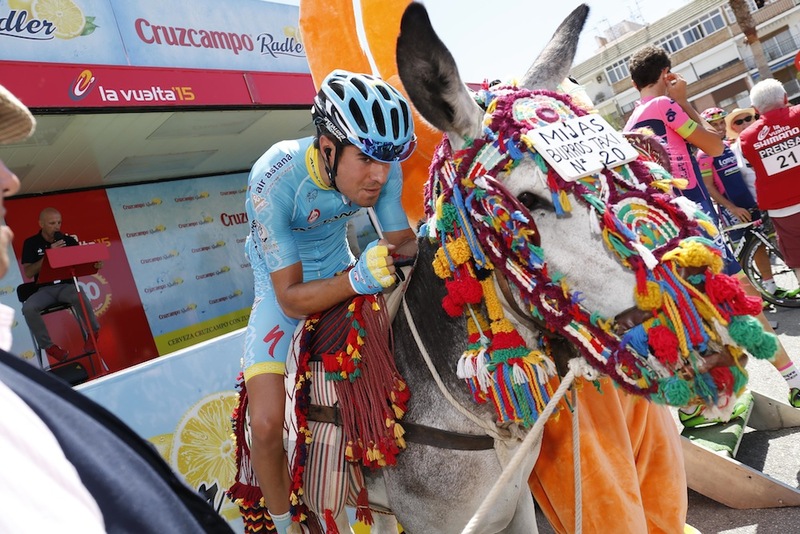 Which pretty much sums-up the eccentric brilliance you definitely should love about this sport. Sammy’s enjoying it. But not as much as that guy in the orange suit. 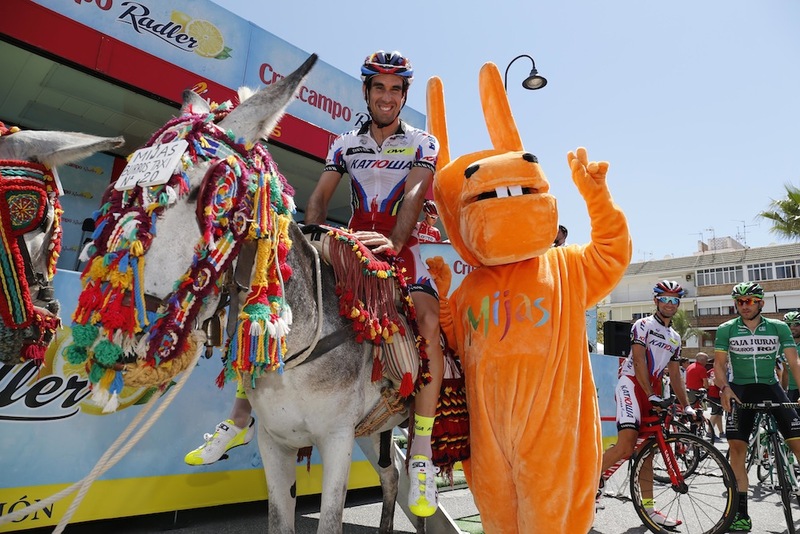 Matteo Montaguti takes his chance in the spotlight. 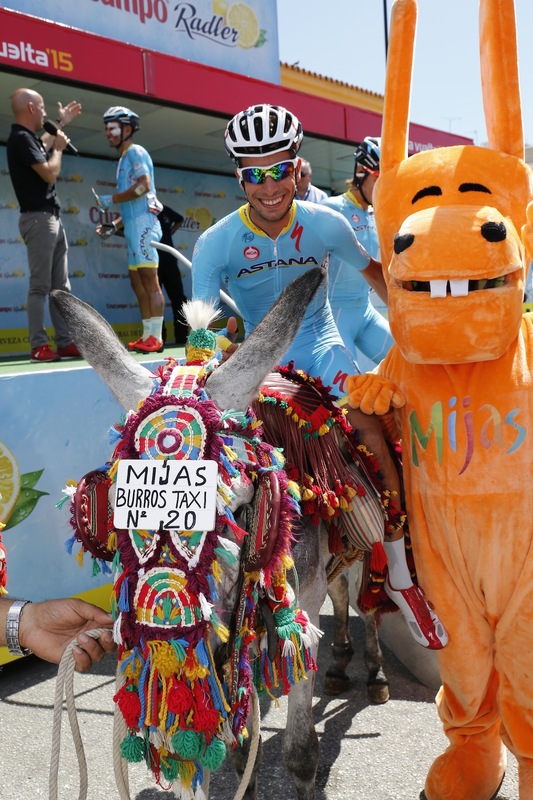 The rider behind looks less than impressed. 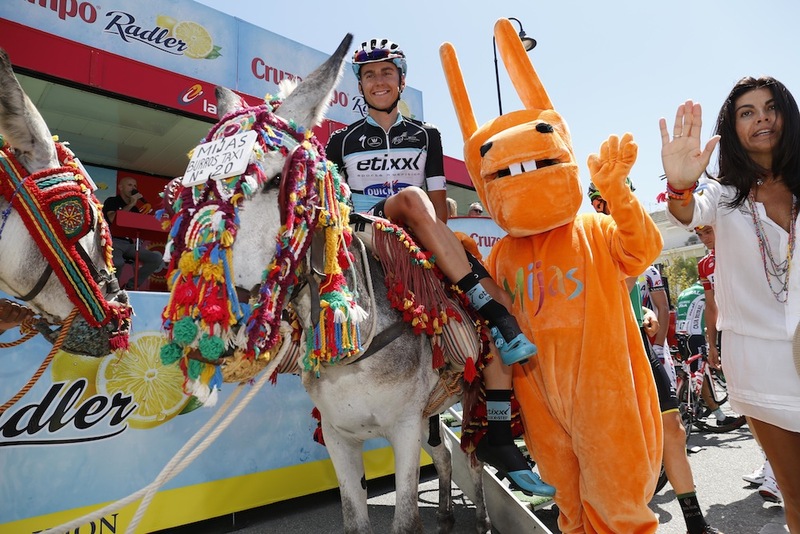 Ben King and Alex Howes take their donkey riding seriously.